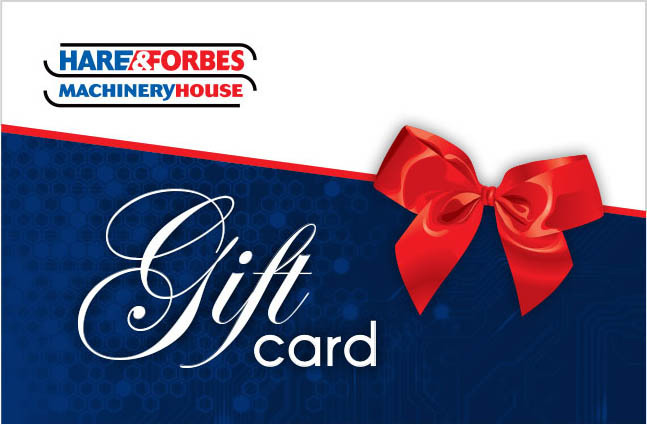 Usable online or in-store, a Hare & Forbes Machineryhouse Gift Card makes a fantastic present! Gift Cards are available online in any dollar value from $20 to $2000. Your gift card/s will be posted to you free of charge. Please allow up to 10 working days for delivery during peak periods. Can't wait? Visit your nearest Hare & Forbes Machineryhouse store and purchase a gift card from the front counter. Discount Vouchers do not apply to the value of purchasing Gift Cards. If you require more than our allowed maximum please call your nearest branch. Click here for full terms and conditions for Gift Cards.